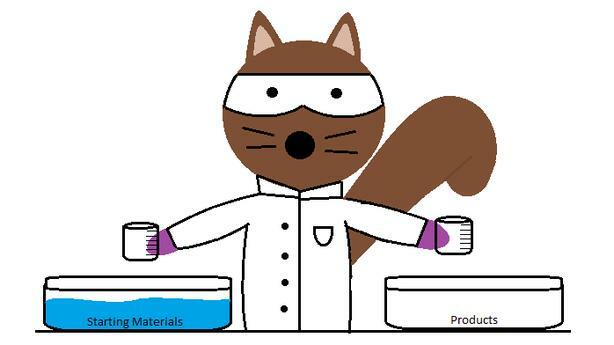 Understanding the math and minutiae of chemical equilibrium can be a tall task for anyone, so why not enlist the help of a scientific squirrel to guide you on your journey. Join Dr. Wash as we dabble in equilibrium constants and other tools needed to predict chemical processes. This book focuses on introductory concepts at the high school and early university level, focusing on identifying equilibrium, calculating K and Q, discussing Le Chatelier's principle and tying equilibrium with the field of Thermodynamics. Full of step-by-step instructions and practice questions, this book aims to simplify one of the more complex topics found within the field of chemistry. Get it in ebook or paperback.